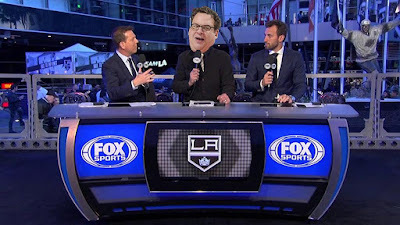 Actor/Comedian Jeff Garlin will serve as the special Celebrity Guest of Honor for the next edition of Hockey Night in LA on December 8, when the Kings host the Vegas Golden Knights at STAPLES Center. Game time is 1 p.m. The Kings, in conjunction with FOX Sports West, last month launched Hockey Night in LA, a series of special weekend games in which the club’s broadcasts and activations in and around STAPLES Center have a different silver-themed feel, including celebrity guests, debate-themed programming and outdoor fan fests featuring live music acts. Garlin’s talent encompasses writing, producing, directing, acting and performing stand-up comedy. He is known as the Executive Producer and co-star of the critically acclaimed “Curb Your Enthusiasm,” which returned to HBO last year after a six-year hiatus. As Executive Producer, Garlin was nominated for an Emmy Award for “Best Comedy” for their ninth season. The show will return for a highly anticipated tenth season next year. He is also known as the patriarch Murray Goldberg on ABC’s “The Goldbergs,” which is currently in its sixth season. 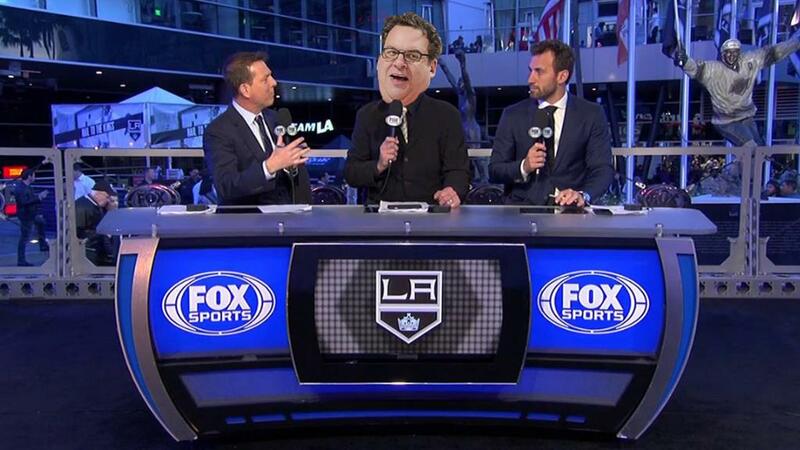 The Hockey Night in LA series kicked-off on November 3 with actor Eric Stonestreet, the co-star of "Modern Family," as the special guest star. In subsequent Saturdays the Kings / FOX Sports West have featured Kevin Ryder – the co-host of KROQ’s popular Kevin & Bean morning radio program – and hockey pioneer/Hall of Famer Willie O’Ree as the Celebrity Guest of Honor. Garlin next returns to the Toy Story franchise, reprising his role as Buttercup in “Toy Story 4,” which hits theaters next summer. He also recently co-wrote, directed, and starred in “Handsome,” the first Netflix murder mystery. Also for each Saturday game the Kings are wearing their new Silver Jerseys. December 8 vs. Las Vegas – 1 p.m.
December 29 vs. Las Vegas – 1 p.m.
January 5 vs. Edmonton – 7 p.m.
January 12 vs. Pittsburgh – 7:30 p.m.
February 16 vs. Boston – 7:30 p.m.
March 2 vs. Chicago – 1 p.m.
March 16 vs. Florida – 1 p.m.
March 23 vs. Anaheim – 7:30 p.m.
March 30 vs. Chicago – 7:30 p.m.
April 6 vs. Las Vegas – 7:30 p.m. The Kings continue their four-game homestand on Dec. 6, when the club hosts the New Jersey Devils at STAPLES Center. Game time is 7:30 p.m. and the game will be broadcast on FOX Sports West, the FOX Sports app and the LA Kings Audio Network. For all Kings ticket information visit LAKings.com and call 888-KINGS-LA.